You know that the season of celebrity hair transformations is in full swing when the guys start to get into it. Ryan Gosling dyed his hair black, officially jumping on the hair change bandwagon, following in the footsteps of Chris Brown, who went rainbow, and Jared Leto's green 'do. Although this is a major transformation for the beloved heartthrob, fear not — he still looks amazingly hot. While it is speculated (according to E! Online) that Gosling may have crossed over to the dark side for his role in new movie The Big Short: Inside The Doomsday Machine, I'd like to think otherwise. Perhaps he is just embracing his stylish, fashionable side? Or maybe he is reverting back to his true rebellious roots by shocking us all with this dramatic 'do? Either way, I'm totally into it. But let's be real, he will always be really really ridiculously good looking no matter what he does, at least IMO. To say this transformation is drastic is quite the understatement. I barely recognized the former fair-haired hottie. He sort of resembles James Franco now just a little, don't you think? 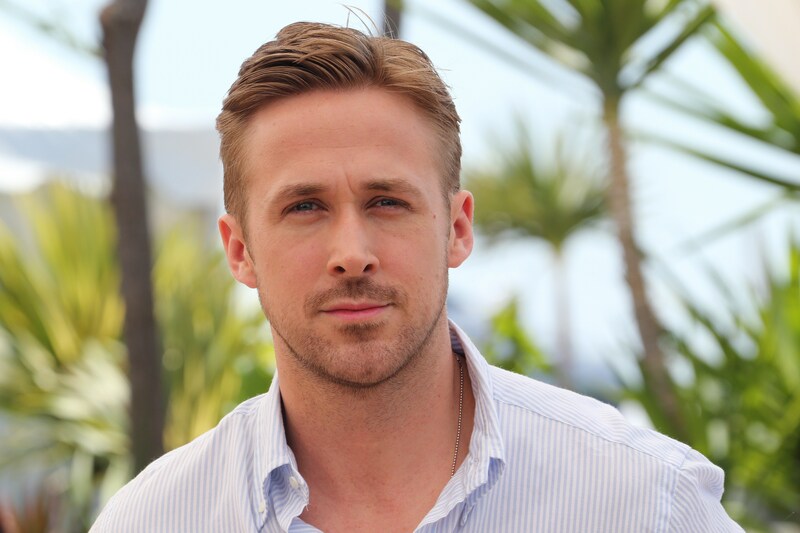 Take a look at Gosling's new look. The resemblance is a little uncanny, no? Brunette, or blonde, I still love me some Ryan Gosling!